1. Carabal. 2. Habla. 3. Palacio Quemado. 4. Pago de los Balancines. 5. Coloma. 6. Viña Puebla. Photos: Amaya Cervera. Just over a year ago, I tried a magical old-vine Garnacha made by Danish winemaker Anders Vinding-Diers. Sourced from the Montánchez mountains in Cáceres, southwestern Spain, barely 1,000 bottles had been released. With a price tag of over €100, it is arguably the most expensive wine ever made in Extremadura but the idea behind it is to highlight the enormous potential of an exceptional vineyard. 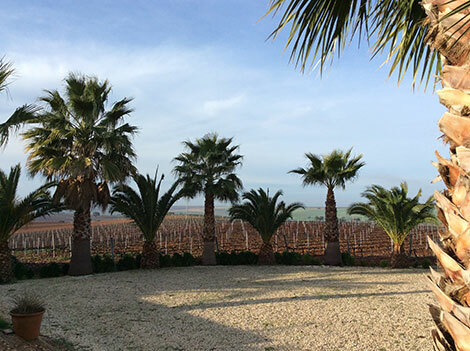 This remote part of the Iberian Peninsula rarely hits the wine headlines. In a similar vein to La Mancha, Extremadura is hampered by its past —bulk wines and the cultivation of neutral white varieties such as Pardina or Cayetana Blanca set for distillation were standard. Will new producers and those who set up here in the first decade of the 21st century be able to reverse this image? It is hard to define the region’s wine given the sheer size of Extremadura, which encompasses Cáceres and Badajoz, Spain’s two largest provinces. The appellation Ribera del Guadiana, created in 1999, brings together all of the wines in Extremadura, and includes six different sub zones. It takes over two hours to drive the distance between Alía, in the Cañamero (Cáceres) sub zone and Zafra in Matanegra (Badajoz). To make matters more complicated, many producers prefer to use the less demanding VT Extremadura designation, particularly for modern or special wines. This is the case of wines such as La Zarcita (€8) and Los Acilates (€15) made under the brand Palacio Quemado by the Alvears from Montilla-Moriles and the Losada Serra family at their Alange (Badajoz) estate. Their quest to offer direct, fruit-forward wines has brought a breath of freshness which differ in style from the standard warm reds of Extremadura. Since the young Envínate team —formed by Alfonso Torrente, José Martínez, Laura Ramos and Roberto Santana— took care of winemaking in 2010, Palacio Quemado wines usually feature partial whole-bunch fermentation, large oak casks for aging and recently, cement to limit the influence of wood. Incidentally, the Envínate team make their own wine in this region —Tinta Amarela (€22)— which follows the same fresh and vibrant style. Alange lies to the south of Mérida in the Tierra de Barros (Badajoz) sub zone, where most of the vineyards and producers are based. 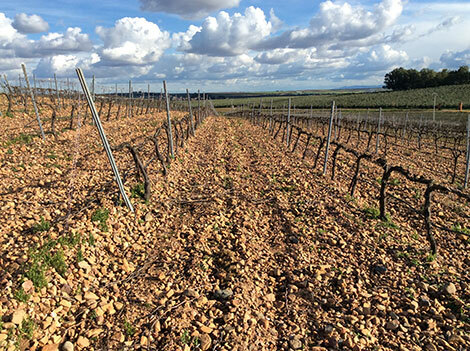 Alfonso Torrente says that one of the things that surprised him most was the assortment of slopes and soils, with varying amounts of clay, sand or limestone on a calcareous rock base. Given that the main quality factor is based on late ripening vintages, his work in the vineyard consists of stretching the vegetative cycle for as long as possible. “The best performing varieties are those which are well adapted to the region”, he explains. In this regard, Envínate are firm advocates of late ripening Portuguese varieties such as Touriga Nacional or Trincadeira, which are grown in neighboring Alentejo (Portugal), barely 60km away on a straight line and without any geographical obstacles in between. Under the Ribera del Guadiana appellation, Pedro Mercado, owner of Pago de los Balancines, in nearby Oliva de Mérida, claims that his oldest Tempranillo vines are in fact Tinta Roriz clones, as this grape variety is known in Portugal. Between the 1960s and 1990s, before the restructuring and pullout period, many growers used to purchase their stock from Portuguese nurseries. Mercado, who multitasks as an architect, building contractor, mastiff breeder and wine lover, purchased a 70Ha estate nestled between the Peñas Blancas and Juan Bueno mountains. His land benefits from a permanent current of air which favors grape growing and is strategically used in the newly built bodega. 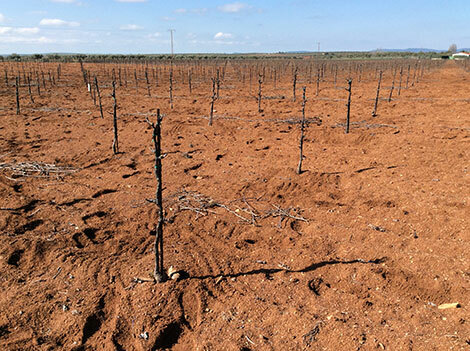 His is a rather extreme case because the entire vineyard, including new plantings of Syrah and Cabernet, are non-irrigated bush vines, a highly unusual practice in Extremadura. Garnacha Tintorera (Alicante Bouschet)is his other leading variety, which is expected to dominate plantings in the future. He sources it from the southernmost sub zone, called Matanegra, and is key in his flagship wines such as Huno (€12.5) and particularly Matanegra (around €20), with syrupy fruit, spices, liquorice, firm tannins and a playful sweet and bitter taste. In the current 2012 vintage, Tintorera made up 40% of the blend but it is expected to reach 80% by the 2015 vintage. 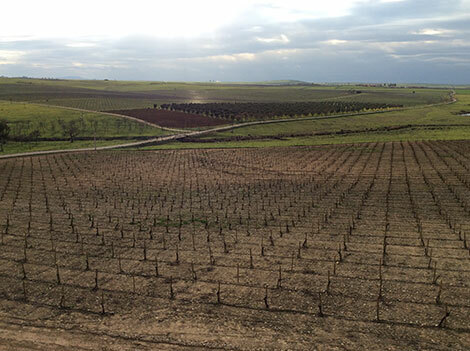 By May, Mercado is set to launch Haragán 2012 (700 magnums, around €65) with his oldest Tinta Roriz vines. Honoring his love of dogs, it will be the first wine in the Mastines de los Balancines collection (mastines means mastiffs). With a lighter structure and good acidity, it smells like the chamomile which grows spontaneously in the estate’s vineyards. The high prices are anecdotal in this region. Bodegas Habla’s pricing strategy with three single-varietals costing €30 each, had to be amended almost right after the brand was launched in the 2005 vintage. Nowadays, this ambitious producer with 200Ha of vineyards and large technological facilities near Trujillo, in the Montánchez subarea in Cáceres, starts his range with two entry-level wines: Habla de la Tierra (€5.5, 250,000 bottles) and Habla del Silencio (€10.5, 350,000 bottles). The brand’s premium wines (around €22 each) are sequentially numbered starting from Nº1 (Cabernet Sauvignon 2005) making it tricky to follow although apparently, single varietals are even-numbered and blends are odd-numbered. Their Syrah is sold in a cylindrical bottle. The wines, bearing a carefully designed look, echo the high ripening levels typically found in the area, but they are balanced and impeccably made to cater for an international audience which is undoubtedly one of the region’s markets. Carabal also follows this international style, but it incorporates long ripening varieties like Graciano. This winery is also in Cáceres, but the Cañamero sub zone where it lies is greener and has the highest rainfall levels in the region. The spectacular farm and hunting estate in the Guadalupe mountains was purchased by construction entrepreneur Antonio Banús in 1989 and had 100 hectares of land planted with vines and fig trees. Grape production was non existent so he started from scratch with the help of José Ramón Lisarrague in the vineyard and Ignacio de Miguel in terms of winemaking. Vines were planted with the three current wines already in mind. Ranging from €9.5 to €25 (Rasgo, Cávea y Gulae), they come from three different plots. The labels have been designed to highlight three defining characteristics in the region: its countryside, history and cuisine. Wines are difficult to find in Spain with most bottles going to export markets, according to director Álvaro Banús. Their message is easier to communicate: “We’ve never tried to hide our origins in Extremadura, or the fact that we are a new and modern winery”. Does Extremadura have a voice of its own? 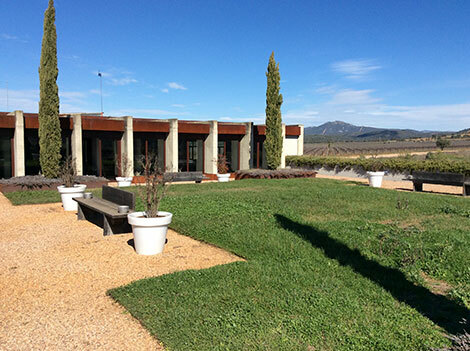 In 2012, Carabal, Palacio Quemado, Marqués de Valdueza, Pago de los Balancines and Viña Puebla set up Vinos Singulares de Extremadura, an association focused on shifting prejudices about the region’s wines and promoting their quality. One of their goals was “respecting the freedom to choose different crops and technical resources”. It was an obvious hint at the need to relax regulations in order to be able to use additional tools. Nowadays there are wineries which frequently undergo dealcoholisation but who are afraid of reporting it. The number of producers which experiment with unauthorized varieties is even larger —these seem to be better suited to the region than short-ripening grapes like Tempranillo, which was massively planted in many Spanish regions on the 1990s. One of the private producers with a long tradition in the area is Coloma, a largely unknown player in Spain because its wines are mostly sold abroad. Their estate lies close to the city of Badajoz (Ribera Baja sub zone) and includes 52 hectares of vineyards and 10 different ripening-cycle varieties which are harvested from mid-July (Pinot Noir for its rosé) to mid-October. As well as blends, they make single varietal, excellent value wines with Garnacha, Graciano, Merlot and whites Small Grain Muscat and Alarije. I was pleasantly surprised by their first bottlings, dating back to the 1970s: wines with 16% vol which Helena Coloma explains by saying that they were not allowed to harvest before certain dates so grapes reached very high ripening levels. Coloma represents yet another example of the differences between sub zones, but also of the diversity of producers and styles. The feeling I got, which was shared by many of the winegrowers I visited, is that the appellation does not add much value and it can even act as a hindrance to creativity. With a little bit more altitude and freshness, Matanegra, to the south of Tierra de Barros is Fernando Toribio’s base. He is breaking a few clichés at Viña Puebla, the family winery. His cheap and cheerful Mu range (30,000 bottles, €3) includes a blend of Tempranillo (50%) and Macabeo (50%) to bring the extra freshness of the white variety. The practice of blending red and white grapes is not allowed in the appellation, hence this wine is sold as VT Extremadura. But Fernando is also pondering to drop the DO status from his new red Garnachas vinified as white under the Maná brand (€9 and 1,903 bottles for the barrel-fermented example). It remains to be seen whether the new team who has taken control of the DO Ribera del Guadiana Regulatory Body will be able to change things. According to the new vice-president, Antonio Losada from Palacio Quemado, the first steps will be aimed at redefining the specifications of the wines under the DO umbrella and launch a study of new varieties. In a region where dry-land farming is almost impossible, mechanical harvests (fresh and nocturnal) are synonymous with quality and there is no history of bottled wine, it makes perfect sense to open the gates to experimentation and to focus efforts on adapting varieties to specific areas. Priorat: is it all about terroir? 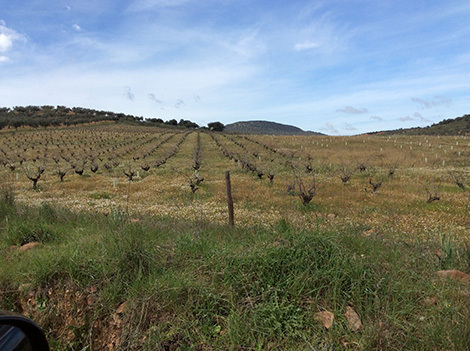 Does terroir matter in Spain's appellations?